When life is complex, hearts are broken, and dreams go unfulfilled, we do not need words that are misty-eyed with shallow sentimentality, starry-eyed with naïve optimism, or dry-eyed with cold logic. Rather, we need words that are clear-eyed with realism and wide-eyed with hope. 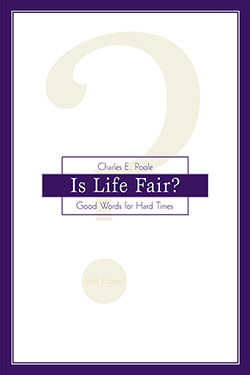 These are the kinds of words that fill the pages of Charles E. Poole's bestselling title Is Life Fair? Good Words for Hard Times. They are not perfect words or final words. Rather they are hopeful, good words for the weary ones who must stumble around on the rugged terrain of hard times. 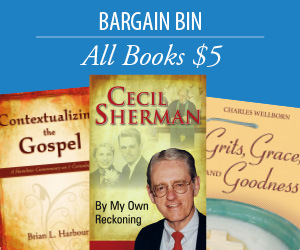 This second edition contains a new introduction by Poole to further provide words of hope for some of life's toughest struggles, darkest tragedies, and deepest mysteries. Charles E. Poole is an author and minister who has served churches in Washington DC, Georgia, North Carolina, and currently in Jackson, Mississippi.